On the heels of knocking out opponent Darren Till in UFC London’s main event Saturday, Jorge Masvidal attempted to do the same to fellow welterweight Leon Edwards backstage. The scuffle was caught on camera, as Masvidal left mid-interview with ESPN+ reporter Laura Sanko to throw punches. As he’s walking away, you can hear Masvidal say, “Come over here, say that to my face.” Both men were quickly restrained by security. Edwards reportedly walked away with a cut above his eye. There’s no word yet on potential repercussions, financial or otherwise. 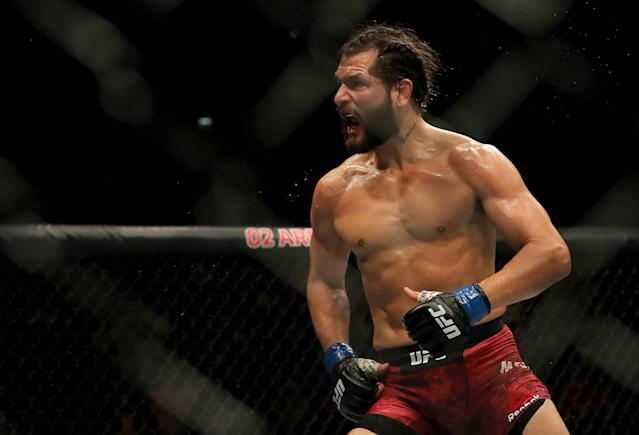 Masvidal did win $100,000 in bonuses for Performance of the Night and Fight of the Night.